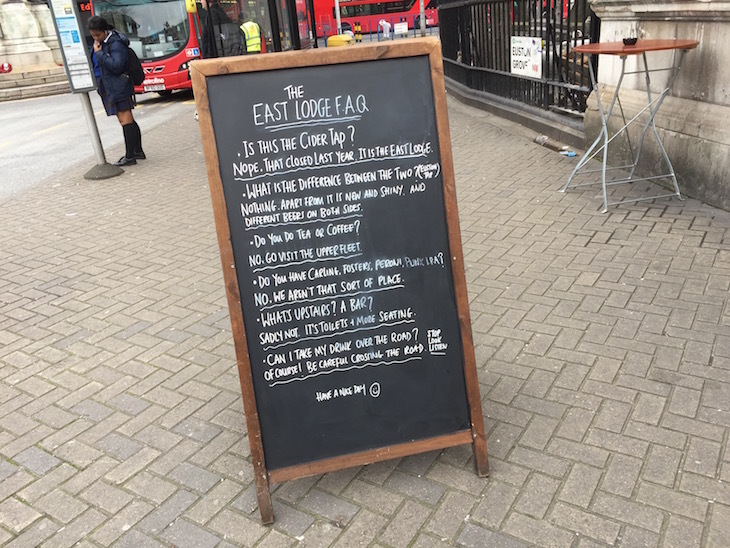 The Euston Tap is a very odd pub. 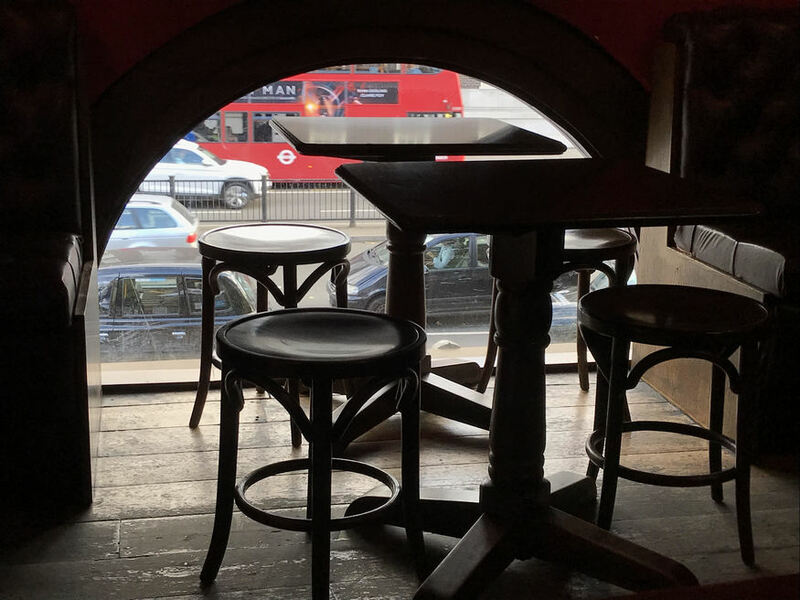 It is, perhaps, the only London pub at which you can be run over while approaching the bar. 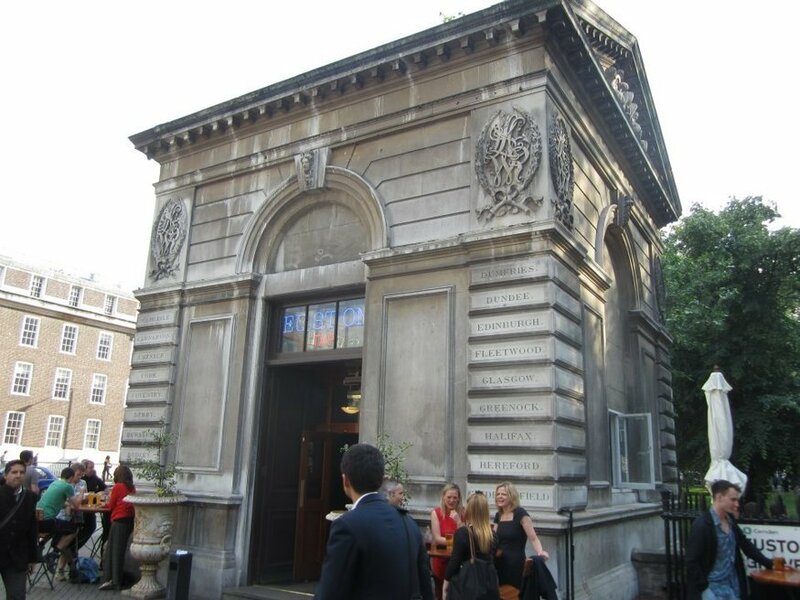 That's because it's housed in two separate lodge buildings separated by the entrance road to Euston bus station. The lodges are the last remnants of the old Euston station, torn down in the 1960s despite lobbying from the likes of John Betjeman. 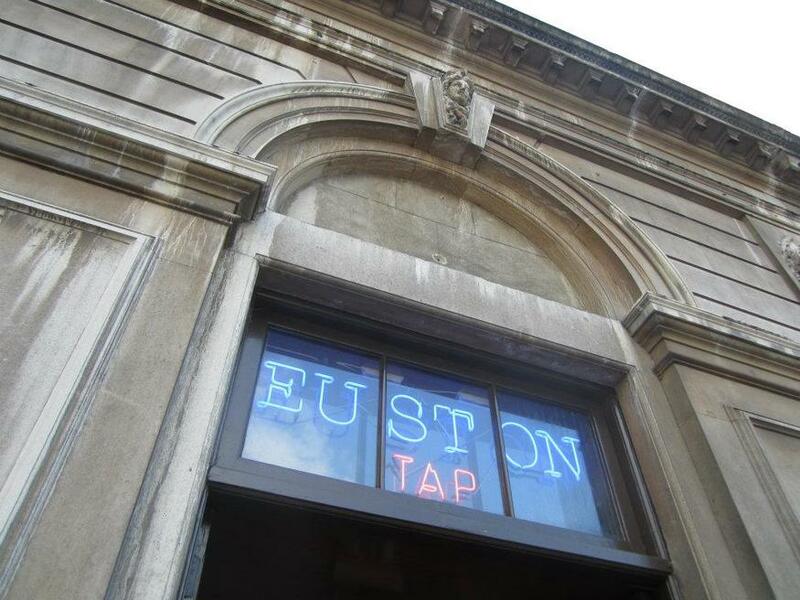 The demolished Euston Arch now features prominently in the pub's logo. 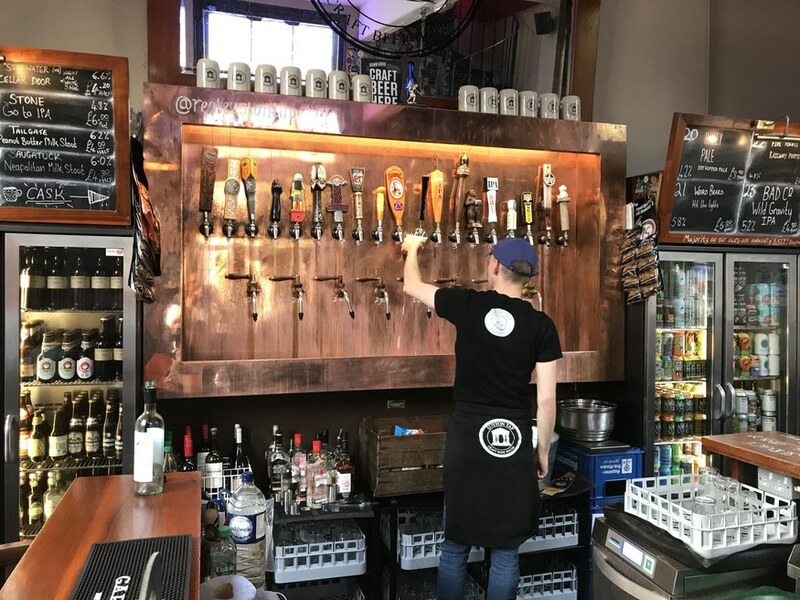 Head into either lodge and you'll find a bewildering range of beer, dispensed from a series of taps. We counted 47 of the blighters across both bars, which must be something of a record in London. 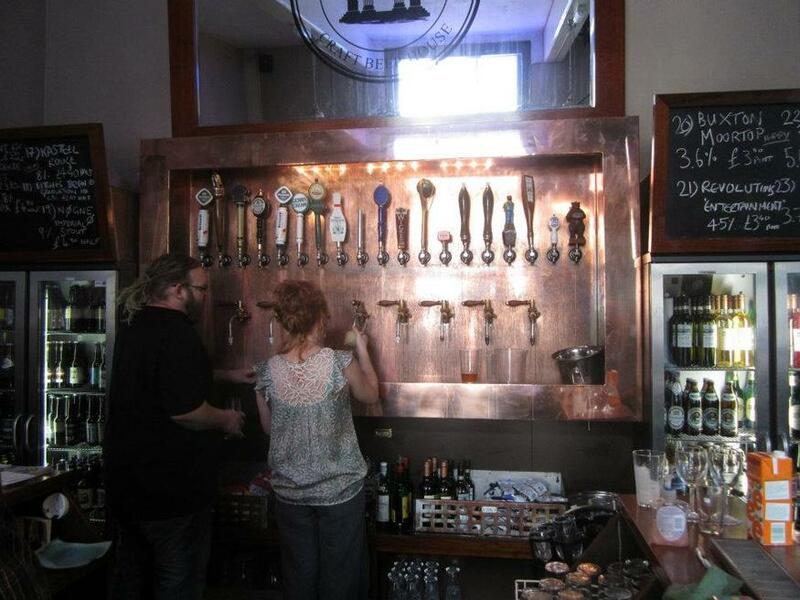 Look not to the taps when selecting your tipple, but to the chalk boards beside the bar. The effect is neat and charming unless, like your rather vain correspondent, you're purposely not wearing your spectacles, in which case you have to squint and crane to establish what's on offer. Those with even better eye sight can negotiate one of the zillion bottled beers stored in the fridges. These being more pedestals than buildings, the interiors can get a bit cramped — particularly in the western-most lodge which gets more passing trade. Fortunately, there's plenty of standing room outside. Small and comfortable seating areas can be found up the spiral staircases — but on no account stand beneath the stairwell or you're likely to enjoy a shower of fugitive dregs from those ascending. Don't sit under the spiral stairs. 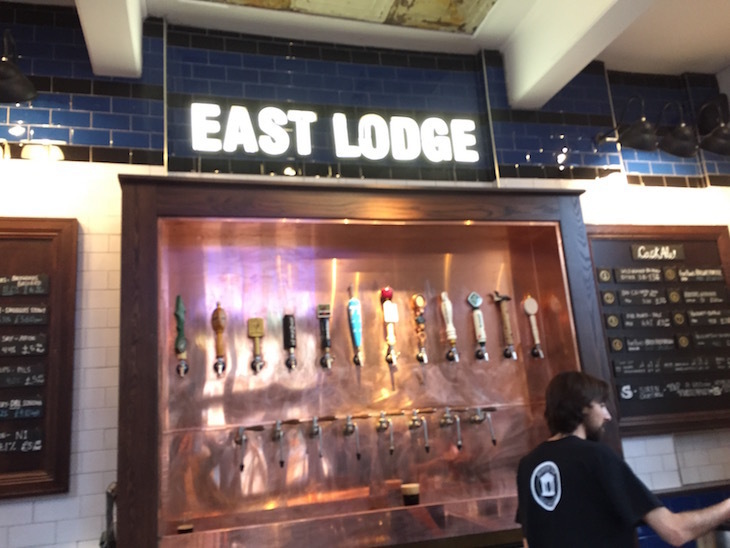 The eastern lodge was briefly styled as the Cider Tap. 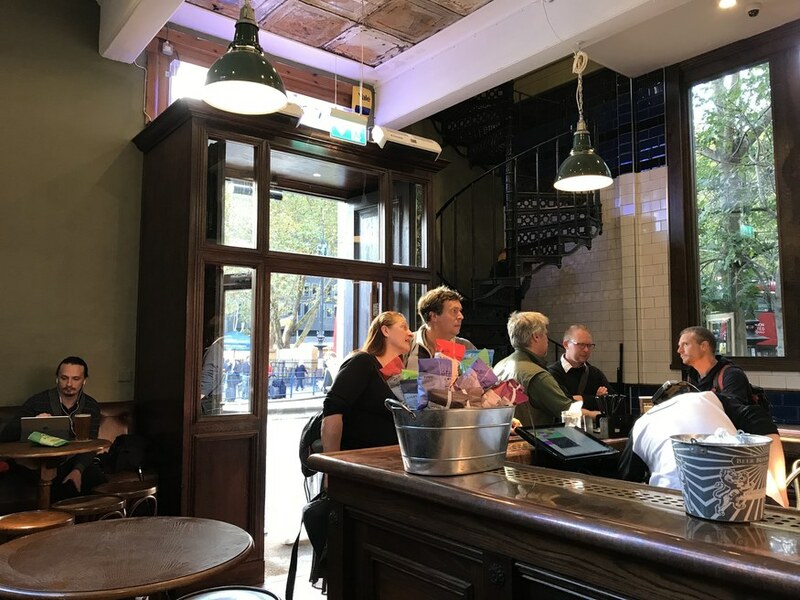 It now carries the same name as its twin, but still offers up one of the best selections of boozy apple juice in London. You can also order pizza from this side of the road. On Twitter as @eustontap. On Facebook. On Instagram.